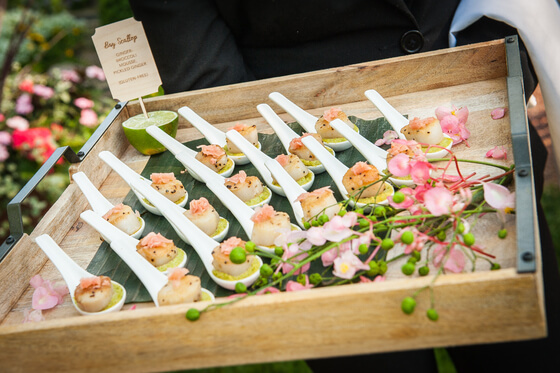 Located in Chicago, Inspired Catering and Events provides top-notch catering services to the Windy City. Originally part of a restaurant group Inspired has been in business since 2015 but the catering division has been around for 14 years. Owner Karen Stefani took some time to answer our questions. 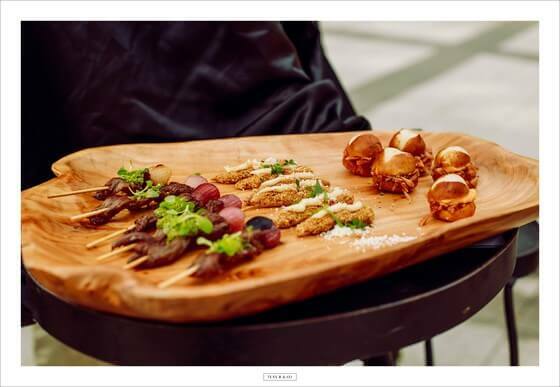 What was the inspiration behind opening Inspired Catering and Events? How long have you been in business? Inspired Catering was formerly Phil Stefani Signature Events. My husband and I first opened a restaurant in 1980. Since that time, we have opened (and closed) over 20 restaurants over the years. Because of high demand, we started Phil Stefani Signature Events for off premise catering. I have been running PSSE for the last 14 years, and 2 years ago transitioned the company to Inspired Catering and Events, becoming a WBE, DBE, and ACDBE certified caterer. When the people think of your catering and events, what do you want them to think of in terms of atmosphere and experience with food? The most important thing to me is the personalized attention from start to finish, and the quality of food and service throughout the duration of our events. I will never be the largest catering company, but I want to be the best when it comes to our clients. They are the key and we want to make their dreams come true. We want to impress our clients and their guests with a superb display of culinary, hospitality, and décor skills, but most of all we want them to feel comfortable, as well as satisfied with the quality of the food. What is one of your personal favorite menu items you offer and why? It’s hard to pick just one, so I’ll give you one of my favorite appetizers, entrees, and desserts. For appetizers, one of my favorites is our duck bacon and brussels sprout hash crostini. It’s such a great combination of savory and salty flavors that works perfectly for fall and winter. My favorite entrée is from our wedding menu, our tender short ribs. We serve them with a ricotta-horseradish grit cake and sautéed collard greens with pickled onions, and the short ribs are so tender they just melt in your mouth. I have a bit of sweet tooth, and for desserts, I’m a big fan of our chocolate bread pudding and our chocolate dipped frozen banana lollipops rolled in fruity pebbles. Both are so fun and classic with a twist; I love the sense of nostalgia they give guests. Why do you think someone should choose Inspired for their catering needs? Many of the staff have been with Inspired for years, even from the years we were Phil Stefani’s Signature Events. Their pride in the work they do shows through in the attention to detail to the care given to the client. They truly help make our events successful and memorable, and I think that’s something not all caterers can say. We also do our best to accommodate every guest, whether that be with food allergies/sensitivities or just making someone feel comfortable, and taking care of our clients and their guests is a priority for us.